The sun is beaming down, tourists are all around and everyone wants to be outside. 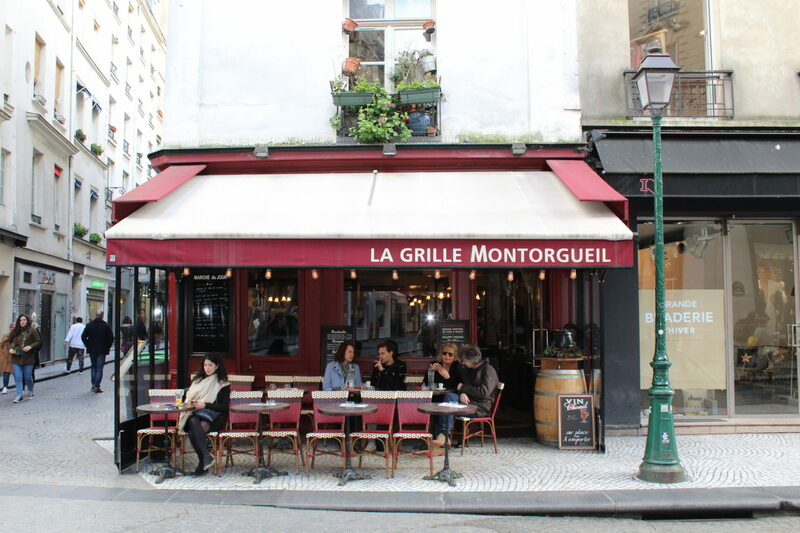 If you’re fairly new to Paris you might be wondering, what’s on in July? Where do all the Parisians go? How can I escape the thousands of tourists? Don’t worry, after having spent 5 summers here, I’m able to help. There are just a few days left of this unmissable Jazz Festival so head on over to it as soon as you can. Totally free and with some amazing artists, the festival is one of the best places to spend some time, especially in this heatwave! La Defense is a short ride out of Paris, you can take the; RER A, Line 1 and a number of buses. La rue de Nil has decided to have a street party and I couldn’t think of a better place! Open from 12-5pm this Sunday you can drink, dance and most importantly EAT at Terroirs d’Avenir, Frenchie, and L’Arbre à Café. Can you think of a better way to spend a Sunday? I can’t! Bastille Day is the biggest celebration in all of France and here in Paris, celebrations start with the alpha jets, part of the French air force. They release red, white and blue smoke as they fly over the capital. After that, at 11am the parade begins on the Champs Elysees and includes police officers, fire fighters and soldiers and is the oldest and largest parade in Europe! On the evening of the 14th (and 13th) there are Fire fighter balls held all over the city; attended by thousands and infamously a great night out. For an ultimate finish head over to the Eiffel Tower at sunset where you’ll see a free concert from the National Orchestra of Paris, followed by 35 minutes of fantastic fireworks. 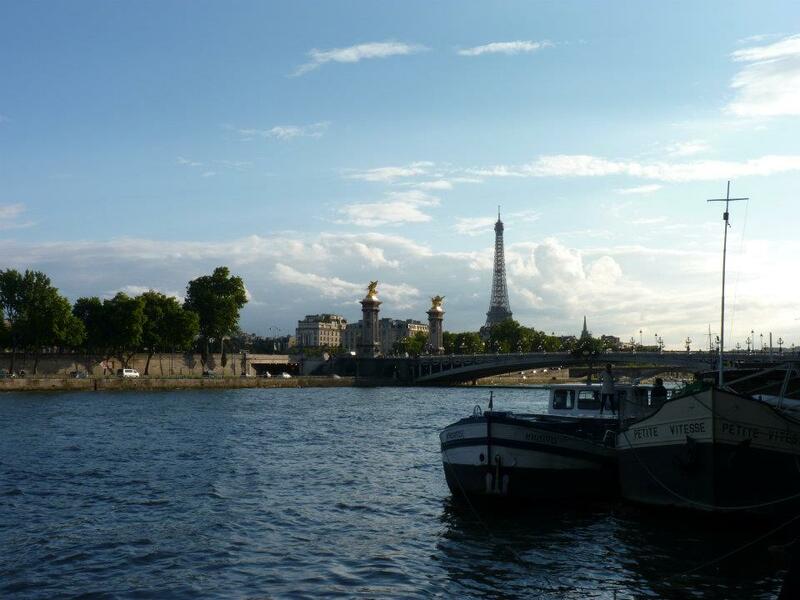 My personal tip: The Champs de Mars can be really crowded, so why not head over to the other side of the river and pick a spot along the seine with a view of the Eiffel Tower? You won’t get the same view but you’ll see all the fireworks and have plenty of space to move around! If you do choose to go to the Champ de Mars, please beware of pickpockets. Our view wasn’t half bad from the other side of the Seine! The FNAC live concert is one of my absolute favourite things to do in the summer. 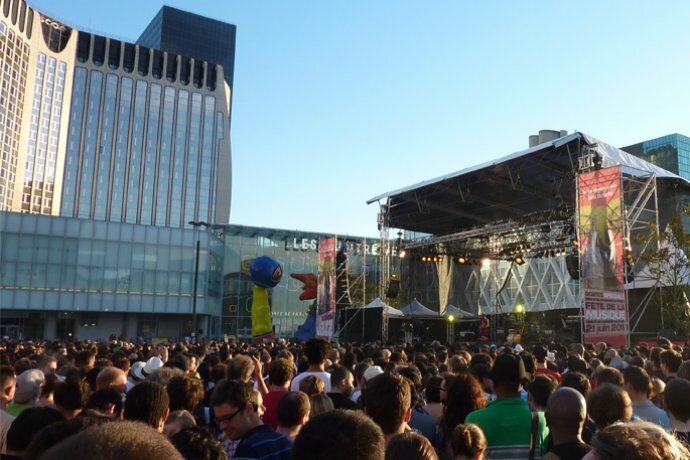 Three days of free music in front of the Hotel de Ville on a huge stage…what more could you ask for? Last year over 100,000 people went over the four days and I was definitely one of the people dancing happily in the crowd. A must do! Click here for more info! Starting towards the end of July, the open air cinema at La Villette is one of Paris’ greatest treasures. Pack a picnic and get some friends together for the perfect free night out. Different films are played every night and in their original versions which means….FILMS IN ENGLISH (with French subtitles of course). Films begin at sunset and you can get there by metro, bus or tram and for anyone driving, a car park is available. The Cinema Plein Air is something not to be missed! Click here to know more! So make the most of this wonderful city this summer! Get your sunnies on and get outside! Love your blog! You have great content and a great voice. One slight detail you might want to include: while there are the firefighters balls the night of the 14th, they are bigger and more popular the night of the 13th! Hi Samara! Thank you so much for your comment it’s so kind! And thanks for the info, I’ll update that now! 🙂 if you’re on Facebook you can follow me (you’ll find the link on my homepage), then you’ll see my weekly updates!